After doing a review of the changes necessary for new users of Cydia had not jailbroken yet still with news of each day, today we bring you to those who have purchased the watch Peeble bluetooth. If you watch with electronic ink screen for you to jailbreak and install BTNotificationEnabler, a tweak Graviboard Creator (this change makes your icons fall off the screen) or Gesturizer, enabling us to send all notices our notification to Pebble clock. Actually this tweak sends notifications to any bluetooth device, not just this watch, but is especially interesting if you have an iPhone with iOS 6 jailbreak and this magnificent watch. 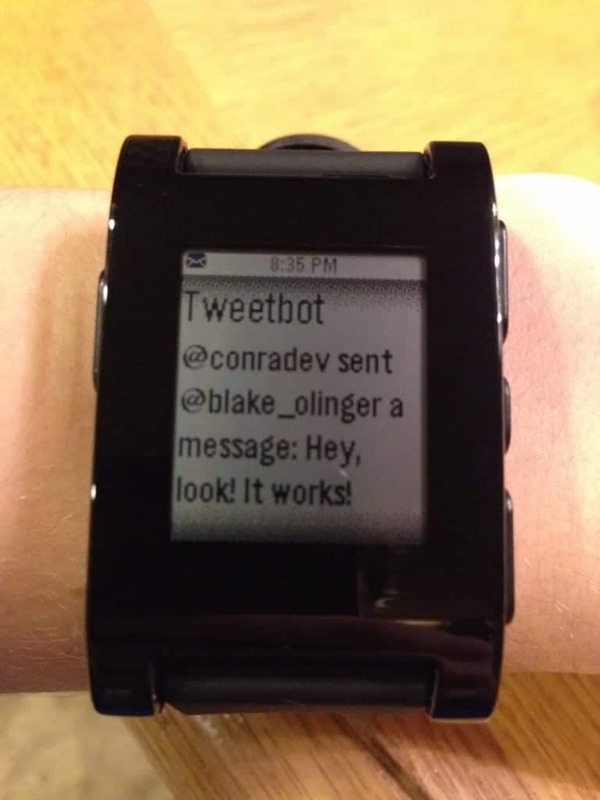 In the picture above the post you can see a photo of Pebble Tweetbot showing a notification, which as you know is not currently possible Tweetbot developers have to insert the Pebble API in your application to make it work, which is difficult occurs. Now you can have all your notifications by default. Article BTNotificationEnabler: send all your notifications at Pebble clock (Cydia) was originally published in News iPhone .